The history of Conestogo Agri Systems dates back to 1994 when it began as Rick Struyk Farm Equipment. The company, which was located in the rural Palmerston, ON area, consited of 4 employees. They distributed, installed and repaired farm equipment. Rick Struyk Farm Equipment was the area dealer for BSM (currently Canarm), Patz, and WIC equipment. In 1997, Rick Struyk Farm Equipment acquired Conestogo Dairy Supply in Drayton, ON. Conestogo Dairy Supply, consisting of 9 employees, and was the local Surge Dairy Farm Equipment Dealer. In 1999 Surge and Westfalia merged to become WestfaliaSurge, the world’s second largest milking equipment supplier. 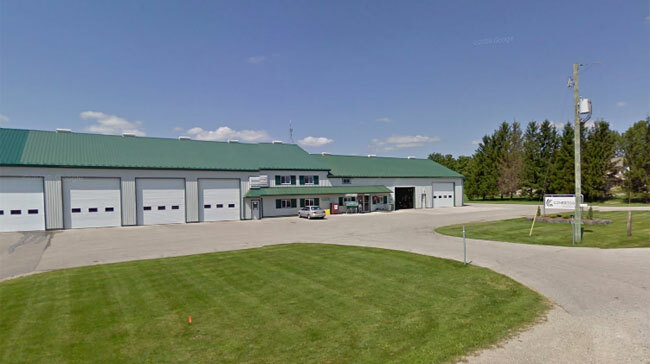 The two companies, Rick Struyk Farm Equipment, and Conestogo Dairy Supply operated separately until October 2000, when McLaren Dairy Systems of Elora, ON, with 8 employees was acquired. McLaren Dairy Systems was the local WestfaliaSurge, Houle, and Valmetal Dealer. Upon completion of the acquisition, the three companies merged to become what is now know as Conestogo Agri Systems Inc. In late 2001, Conestogo Agri Systems purchased Don Ricker Dairy Systems Ltd., of Dunnville, ON, with three employees. Then in August 2003, McLaren Equipment of Barrie, ON, with 3 employees was acquired. Both companies were WestfaliaSurge dealers. Today, Conestogo Agri Systems operates both a Dairy Equipment division, and a Farmstead division.